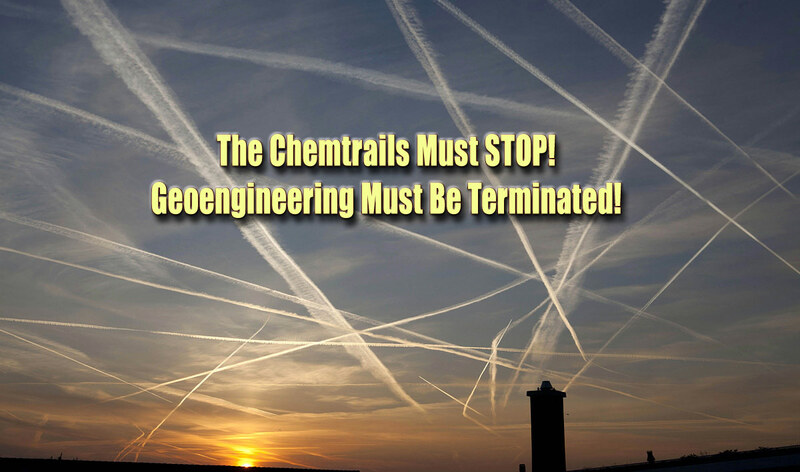 A major development has occurred in the global geoengineering movement. Michael J. Murphy, the director and producer of the highly acclaimed “What in the World are they Spraying” and “Why in the World Are They Spraying” has made common cause with HRH Princess Basmah bint Saud. Princess Basmah is a Saudi businesswoman and a member of House of Saud who has lived in Acton, London, England since 2010. Michael Murphy conducted a wide-ranging interview with Princess Basmah for his upcoming film “Unconventional Grey”, a ground-breaking video production that will address the geoengineering phenomenon from various critical perspectives. Her contribution to this cinematic effort and global advocacy is quite valuable and timely as the Mideast is no stranger to massive geoengineering operations. Her Royal Highness Princess Basmah bint Saud has been a tireless and lifelong advocate for a variety of noble causes. As a committed humanitarian, she has recognized that global geoengineering programs will only contribute to the suffering of the world. Her Royal Highness has particularly emphasized that food supplies are being adversely affected the world over which will only contribute to food shortages and starvation. In light of the fact that Princess Basmah founded the Royal Botanical Garden of Jordan, she is acutely aware of the effects of the geoengineering chemical compounds that are now contaminating the Earth’s plant biota around the globe. She understands the intimate connection between chemical geoengineering and the plant kingdom wherever chemtrails are heavily sprayed. She is especially aware that chemical toxins will bio-accumulate in all vegetation just as they do in animal life that is regularly exposed to chemtrail aerosols. Her geoengineering education has further taught her that weather patterns and climate trends across the planet are now being systematically altered. The princess is quite cognizant of the reality that this ongoing weather modification has been the direct cause for both drought and deluges across the planet. In this regard she is very concerned for the livelihoods of so many which are dependent on stable weather. The following video clip comes directly from the soon-to-be released “Uncoventional Grey” which has been produced and directed by Michael J. Murphy. This revolutionary new video promises to greatly advance the worldwide geoengineering movement in ways that will exceed Michael’s first two ground-breaking productions. The viewer will quickly experience the commitment to this cause that Princess Basmah expresses in this short video segment. One of the primary purposes of “Unconventional Grey” is to lay the legal foundation for lawsuits to proceed throughout the world community of nations. The anecdotal evidence clearly indicates that nations large and small are now subjected to these unlawful and harmful sky-altering technologies. That these incessant chemical geoengineering programs are being conducted in a clandestine manner reflects their profound illegality. Therefore, the most significant upshot of Unconventonal Grey will be to educate, enlighten and empower the people of the world to take back their skies from a NWO (New World Order) agenda which has expropriated them. This single global strategy revolves around the several legal initiatives. The citizens of each country, who are currently the victims of these highly destructive chemtrail operations, will be required to develop their own legal strategies to terminate them. Because each government, which has permitted the relentless chemical assault of their citizenry, is liable for personal injury lawsuits on a massive scale, the consequences of their actions can be quite severe. When any government is culpable for allowing such illicit and injurious chemtrail spraying, they become vulnerable to class action lawsuits. In view of the many borders that are crossed by chemical geoengineering programs, this patently criminal behavior is actually known as an ongoing crime against humanity. This is the approach that Unconventional Grey has taken toward terminating geoenigineering around the world. Those who have contributed to this much needed project are grimly aware that a slow-motion genocide is being implemented via chemical geoengineering. Truly, the unrelenting devastation of the biosphere by way of the pervasive chemtrail aerosols stands as a testament to this established fact of life on Planet Earth. Princess Basmah comprehends the enormity and profundity of this current state of affairs. She has quite bravely stepped forward and highly encourages everyone else to do the same. She is well aware of what it’s like to advocate a cause that is at odds with the ruling cabal of the NWO. Saudi Arabia has provided her with deep and broad experience in these types of matters. Princess Basmah also knows that, at the end of the day, it is only the people of the world who can stop the geoengineering programs. She has offered her voice and hopes that many others in positions of influence will do the same. She knows that when key individuals in positions of power and authority begin to weigh in on this grave matter, positive change can happen rapidly. Clearly it is time for those who are aware to join this historic call to action. It is the only way to take back out skies as well as the rest of our planet. After all, once the chemtrail aerosols descend to Earth, they foul the water bodies and water courses as well as pollute the land. Hence, there is perhaps no place on Planet Earth that is not polluted from chemical geoengineering and therefore where it must be terminated posts haste. The release date for Unconventional Grey is late Spring or early Summer of 2016.